Spare parts: brands, from Taiwan, German, etc. 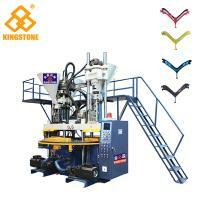 What is the application of our machine? 1. To share our 30 years experiences with our respected customer. 2. 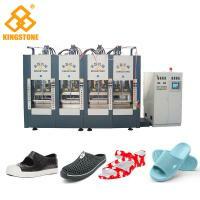 To supply whole production line for making shoes (Include Machine, Mould, Material). 3. To support our customer on Factory Building, Factory Management, Production & Package for Shoes, Sales Layout, Market Development. 4. 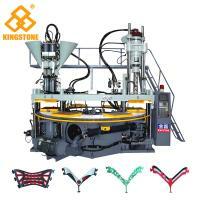 To service customer with machine operation and maintenance. 5. 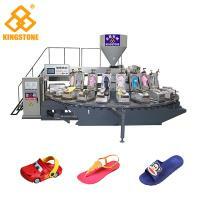 To solve the problem quickly and efficiently on the after sales service. 1. By computer, Electrical box, PLC control---more simple, fast and precision. 2. It could be equipped with air blowing system. 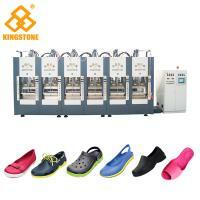 --- can produce light weight, particularly the need for reinforced cooling effect. 3. Computerization in analysis and design---the machine is well in stability. 4. Conformed to human engineering in design---it features operational compatibility. 5. It could be equipped with servo system. --- can save 30~40% electricity. 6. It could be equipped with cooling system. 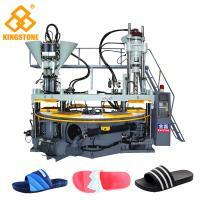 --- can cooling the mould and extend the mould life. 7. The well-interconnected oil circuit by electric control --- can reduce waiting time, quicken production rate, and promote productivity. *Note:Above data only for reference. 1. Negotiated, 30% T/T down payment , balance shall be paid before shipment. 2. T/T, Westem Union, PayPal, Escow, MoneyGram. 25-45 days after confirm deposit. Professional export package, plastic film packing, or Wooden case packing. 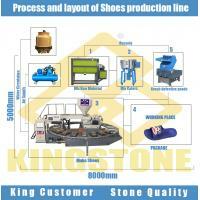 Below is the process for produce full shoes, easy operate. It need 1-3 people for the full process. 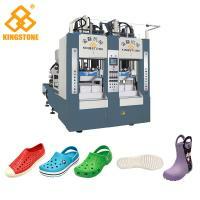 3 After the machine works well, our technicians will teach your workers how to produce shoes, and how to solve some emergency conditions. 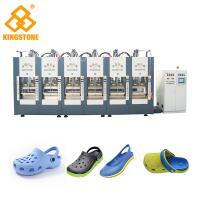 4 After your workers can produce shoes very skilled, then our technicians back. 5 Also you can send your technicians to our factory for training. 6 Any questions can contact us, we will reply you within 24 hours. 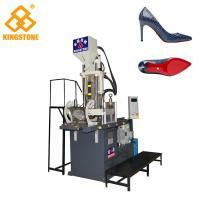 Dongguan Kingstone Shoe-making Machinery Co. Ltd., headquarter located in Dongguan city, has been researching and developing from manufacturing various kinds of footwear machines. 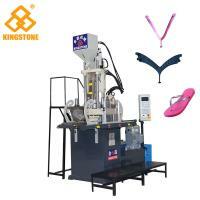 Kingstone is striving toward larger business scope to provide customers diversified machine designs, perfect production quality with the best and fast service. Our main products is PVC/PCU Slipper Air Blowing Moulding Machine, PP Inner Sole Injection Moulding Machine,1/2/3 Color Plastic Shoes and Soles Injection Moulding Machine, Plastic Rain Boots Injection Moulding Machine, EVA Foam Injection Moulding Machine and Rubber Sole Automatic Moulding Machine etc. 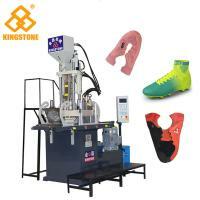 Dongguan Kingstone Machinery Co., LTD., as one of the famous rotary plastic footwear injection molding machine manufacturers in the industry, the industry first-class rotary injection molding machine R&D and manufacturing base, over the years with the product variety is complete, personalized type many, quality excellent, and is famous world without time service in the industry, the product sells in distant markets the world nearly 30 countries and regions, at the same time also in Peru, Nigeria, Brazil, Bangladesh, Mexico and many other countries set up offices and agents.